─ Leo described Gilbert’s presence in the series quite pointedly: “He’s always just around, like you’re never sure if he’s there or not, despite being all wrapped up in bandages.”. In this episode however, I can confidently say that he was there. 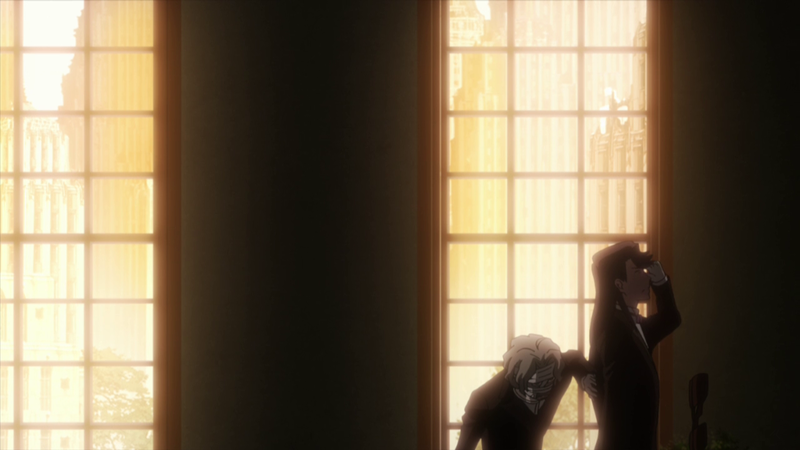 And as it turns out, he’s one of hell of a badass combat butler! ─ Masahiro Mukai, series director of Hyperdimension Neptunia (2013) and Trickster (2016-2017), was in charge of this episode. 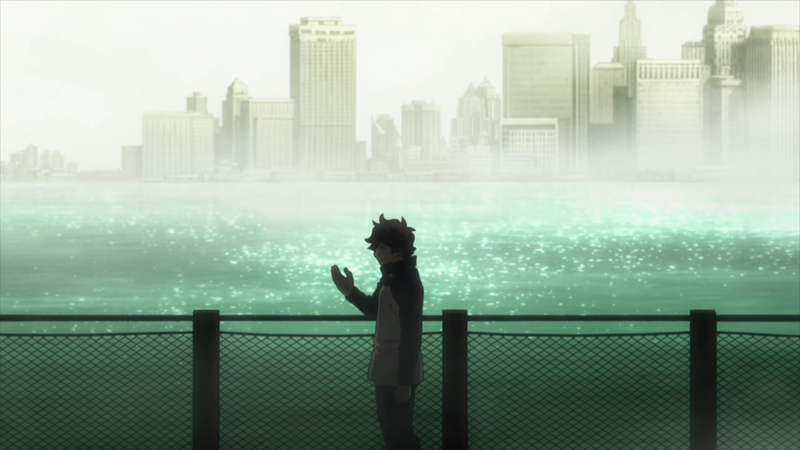 You might not find that a very impressive resume, but as an episode director he has a high cachet that often allows him to work alongside prestigious directors; among the creators he’s earned the trust of there’s the likes of Shinichiro Watanabe, who allowed him to direct the amusing multi-dimensional trip Space Dandy #14, as well as Terror in Resonance‘s second to last episode. 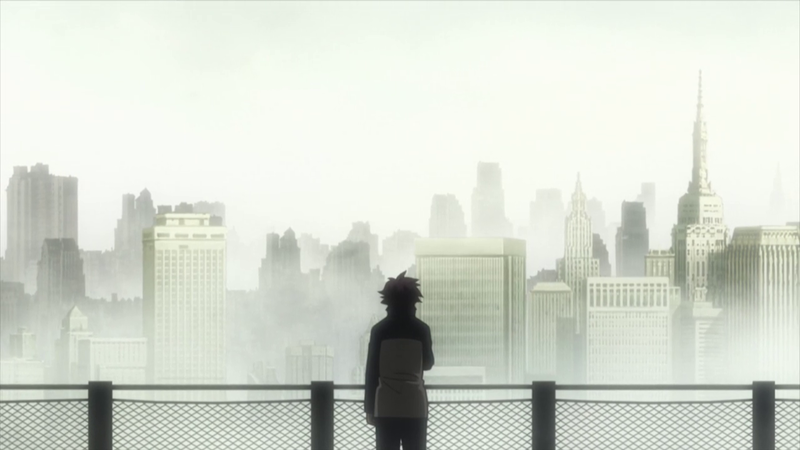 It’s worth noting that this wasn’t his Blood Blockade Battlefront debut either, as he had already directed the opening and episode 3 of the first season, based off the storyboards of Rie Matsumoto in those cases. Since this sequel isn’t as much as a solo creative effort as the original, this time he had the chance to draw his own boards as well. ─ How did he fare then? He captured an interesting tone, solemn but not overly grand, which mostly comes down to the peculiar visual style. 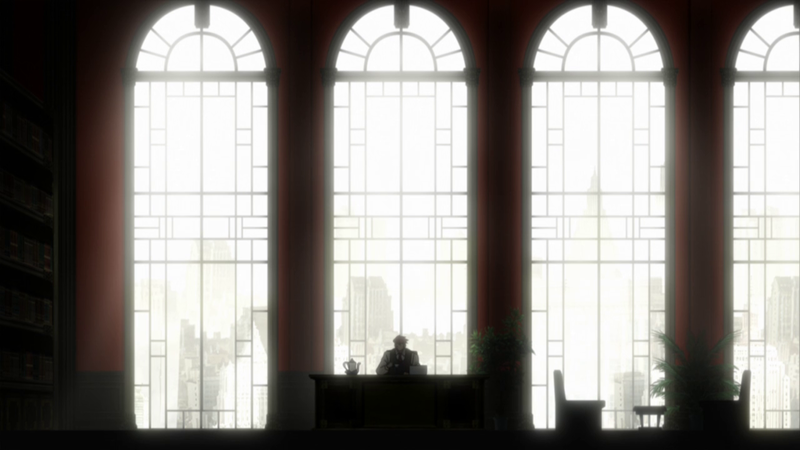 The atmosphere Mukai brought to Hellsalem’s Lot was darker than we’re used to, with an emphasis on wide establishing shots and heavy contrast between the interior of Libra’s office and the bright outside as framed by the huge windows. I think the wide framing and elegant layouts were partially inspired by Matsumoto’s approach from the first season, though the use of colors gave the first two thirds of the episode a rather somber atmosphere unlike prior material. 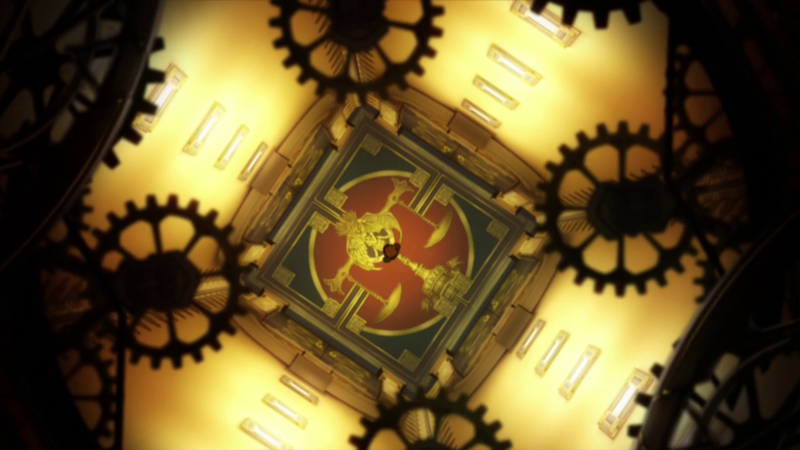 My favorite shot has to be the overhead look at the main characters playing Monster Hunter with the rotating fan matching the pattern on the floor as the camera rotates in the same direction. 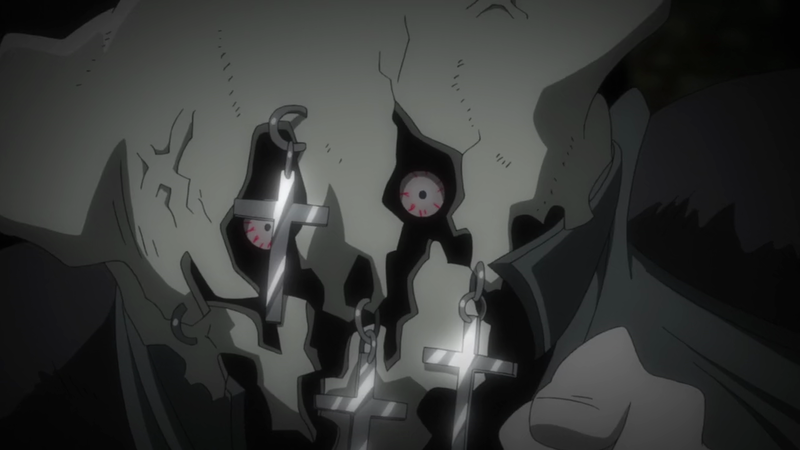 ─ You might have recognized this character from their appearances in the first season. I have to say, they seem to have recovered fairly well from an acute case of death. ─ Another aspect that marked a bit of a change was the fact that the animation directors don’t have strong ties to studio BONES. 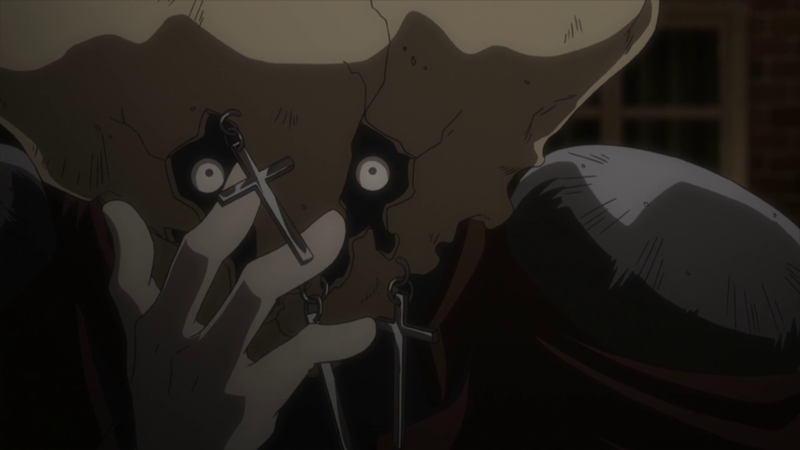 Shinya Yamada was likely brought on-board by Mukai himself as they often collaborated in the past, to the point that Yamada even provided character designs for Trickster. Kanta Suzuki meanwhile has some experience at the studio as a mecha specialist and is even helping out with the design work in the show, but I wouldn’t count him as a recurring name for the company either. 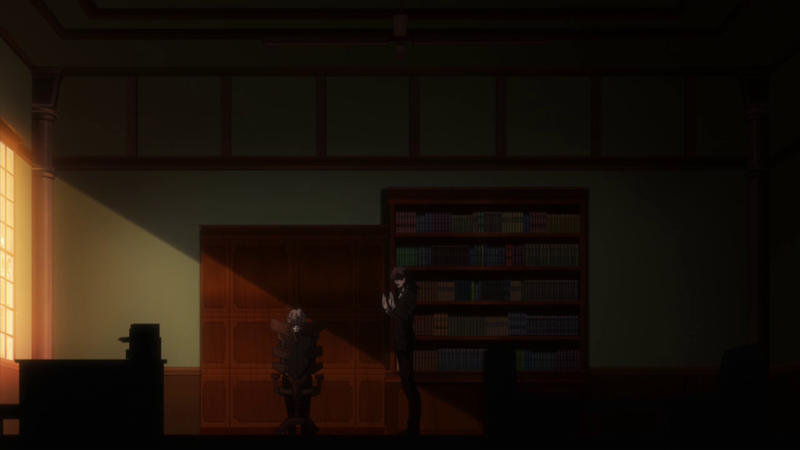 Both of them were under the surveillance of episode 3’s Tsunenori Saito, more or less confirming that he’ll supervise every odd episode from now on. Truth to be told the character art had some inconsistencies here and there, but thankfully the actual quality of the drawings didn’t decay much. ─ And now onto the wild chase scene ─ what a perfect chance for the wilder animators to show off their skill! I read the manga counterpart a couple years ago and even in static form it already stood out as an outrageous, exciting moment. I was very curious about how the anime staff would tackle it so I’m pleased to say that they assembled the best crew they could. The sakuga relay is worth celebrating, despite the TV broadcast’s dimming measures doing the best they could to get in the way of the experience. 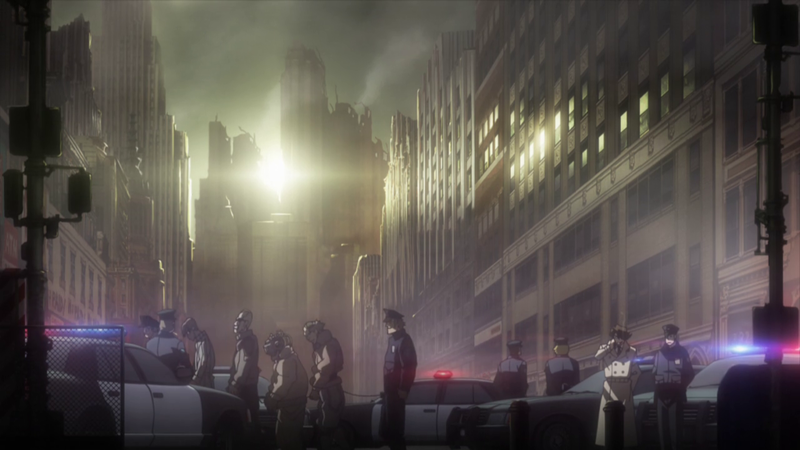 The scene begins with a bombastic entrance animated by Hideki Kakita who again showed his trademark style of explosions. 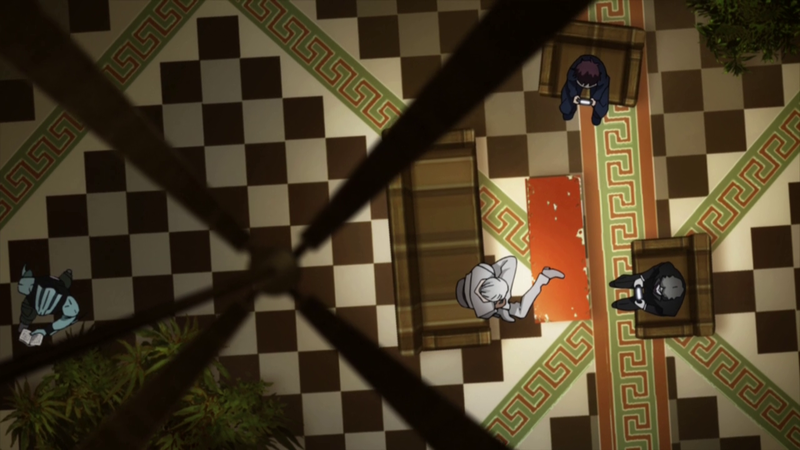 The following massacre caused by Zapp and Zed’s blood techniques was drawn by the ex-Toei ace Yuki Hayashi, while webgen animator Hiromitsu Seki used his perspective mastery to handle the sequence where the villain snatches the flying brain away from Zapp’s blood hand. 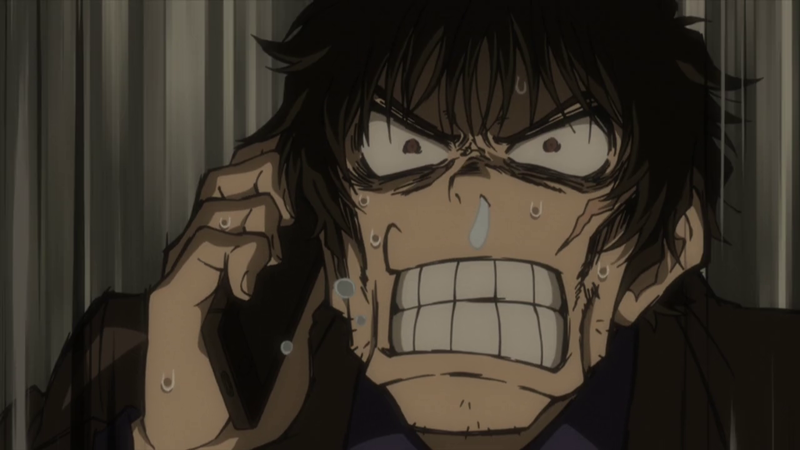 The missile circus scene was animated by another digital animator, Hideaki Abe. And of course, no one better than the charismatic Yutaka Nakamura to wrap things up in a grand high-octane way. Despite his formulaic output nowadays he always finds a way to surprise the audience through sheer technical excellence, and this time I was particularly stunned by how well he depicted the three-dimensional space in his animation. 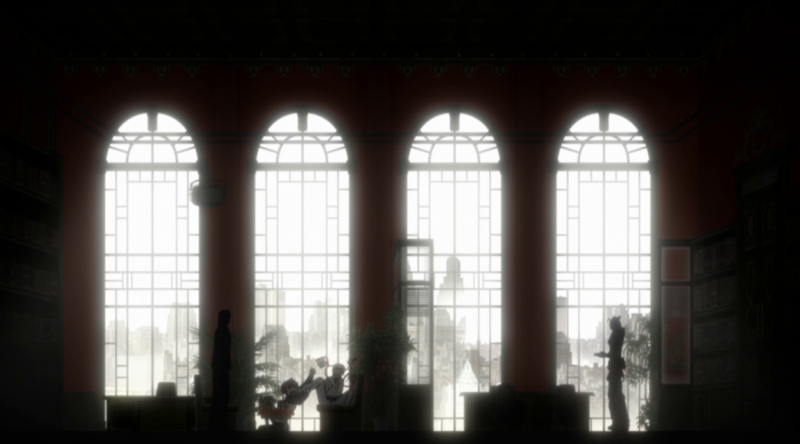 Other outstanding animators that I couldn’t quite pin-point participated in the episode, such as Kenji Mizuhata who probably moved onto the show from the recently finished A.I.C.O. Incarnation, as well as Naoyuki Konno. 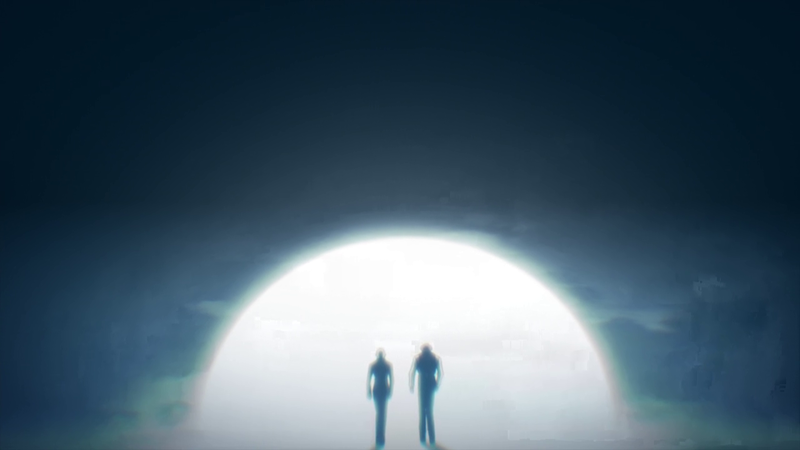 ─ I think BONES’ CG crew deserves a fair amount of praise for their work on this episode as well. It’s not easy feat to craft a nice-looking 3D model that manages to blend almost seamlessly within the most spectacular sequences of hand-drawn animation. An impressive debut in the role of CG director for Takuma Miyake. ─ It’s the little things that make the experience. ─ After a number of episodes focused on individual characters it was time to break the trend with an ensemble adventure, although still giving priority to Leo’s determination to regain his sister’s eyesight. Libra found themselves in a dire situation after their headquarters were hijacked by a rapidly evolving insect. Sounds like a ridiculous issue? That’s BBB for you. 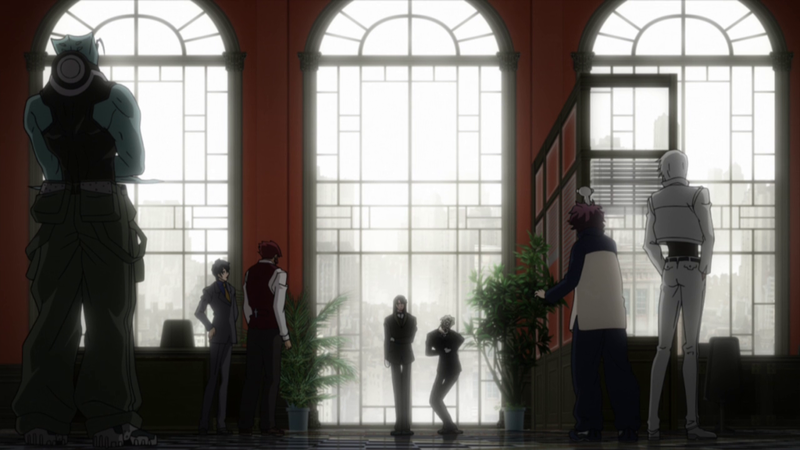 ─ The opening’s director Naomi Nakayama accepted the task to storyboard this episode. By her own admission, her goal was recreating the atmosphere of the manga as closely as possible; an understandable attitude when tackling a popular series, though conservative approaches aren’t usually the best the way to capture the magic. I would say that her work was functional overall, not quite on the same level as the focused effort of the previous episode but still capable enough. The scenes focused on Leo and Michella stood out as the modest highlights this time around. 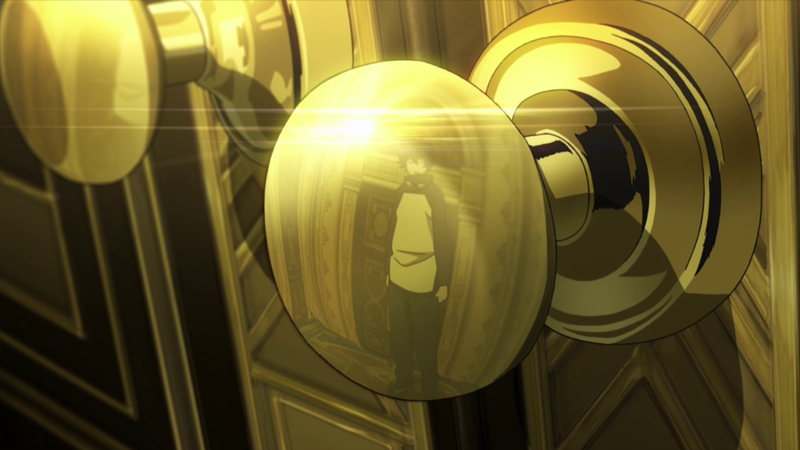 Episode director Takahiro Hasui is yet another case in the long array of studio BONES’ production assistants who became episode directors later in their career. This was the first episode he handled on his own, after collaborating on Show By Rock! 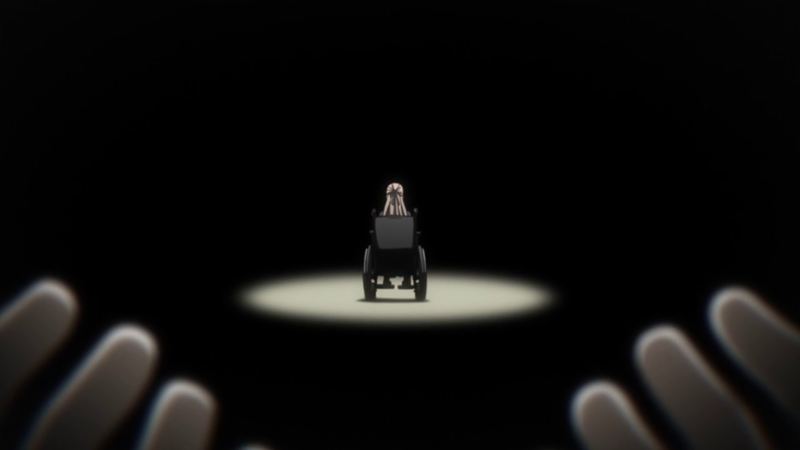 !#‘s fourth episode with another ex-production assistant Sayaka Morikawa. ─ Nice callback to the very first episode of season one. Nostalgic layouts! ─ Episode 1’s Atsushi Hasebe returned to supervise this episode’s animation with the assistance of the returning Noriko Morishima and powerhouse animator Yuki Hayashi, who’s also been very active in this project. The drawings were unremarkably good, which is to say that the show keeps on maintaining its consistent, fairly high polish. On top of that, Hayashi’s role as supervisor allowed him to grace us with some hilarious drawings of a mentally exhausted Steven. 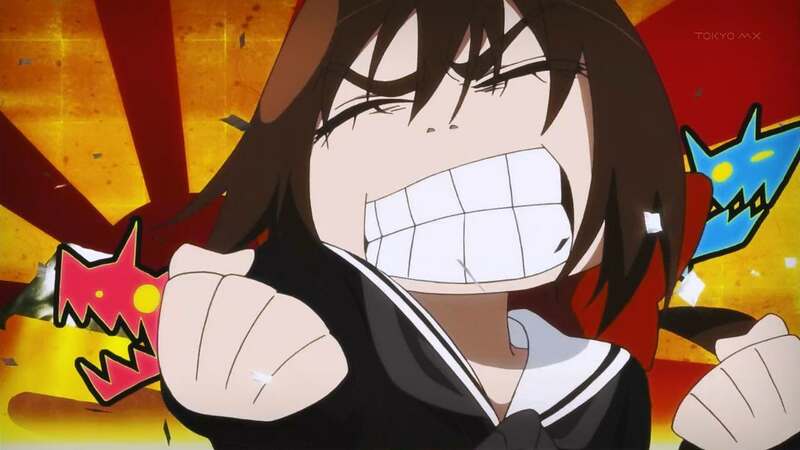 If you’ve watched Kyousougiga, which you definitely should do, you’ll likely recognize his exaggerated facial structures ─ those teeth! 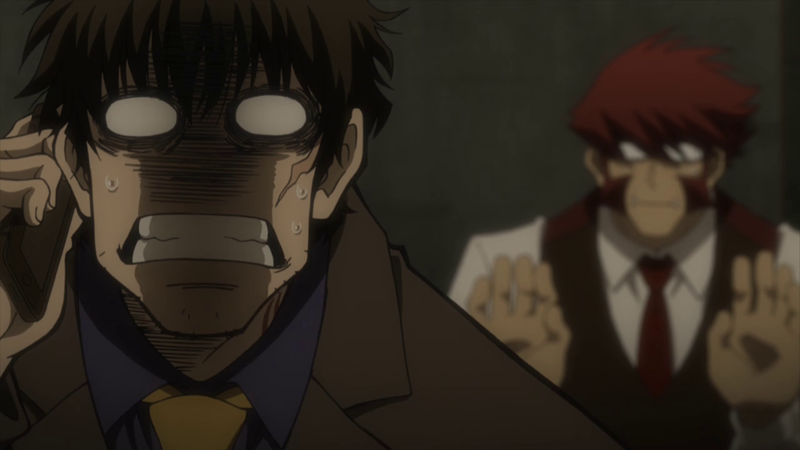 ─The real star of the episode’s animation however was Dogakobo-affiliated ace Hirofumi Okita. He handled two lengthy scenes, demonstrating he’s capable of portraying very different styles that all come across as equally lively. The first sequence was in the hospital with little Lucianas all simultaneously walking in the room and doing various stuff. It’s grounded but full of little movements that made the scene feel alive. 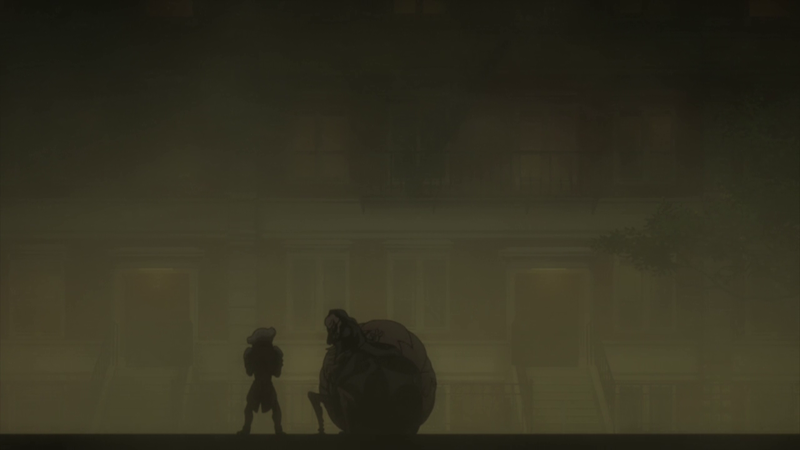 His other contribution was set during the episode’s climax with bunch of mob characters counting down until the earthshaker’s impact. The key element in this case is his masterful timing ─ the contrast between the attractive exaggerated movement at first and Chain’s smooth, stealthy motion shows just how good of an animator Okita is. At the top of the KA list you can find Takashi Tomioka, a veteran action animator who worked on the first season as animation director for episodes 4 and 10, and also the only person on that role with no need of a chief supervisor. 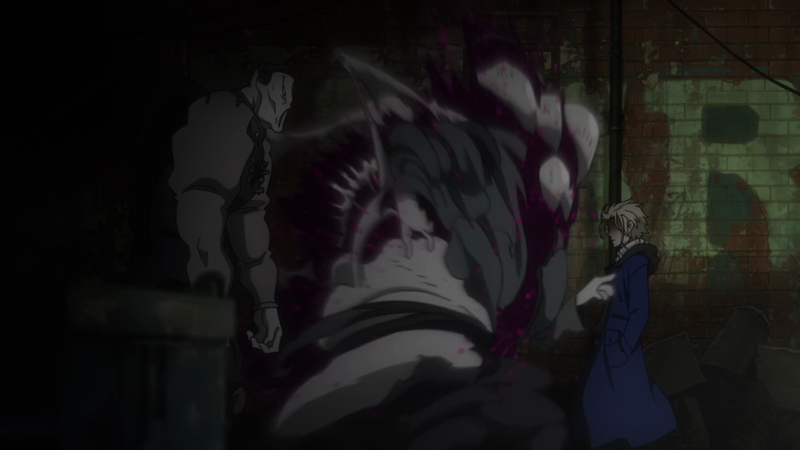 He presumably animated Klaus’s finishing move, as hinted at by the sharp effects. Yuki Hayashi also participated as key animator, possibly handling Chain’s rescue. Another scene that caught my attention was Zapp trying to remove leeches from his head. This kind of fluid and squashy movement also felt like something Hayashi would draw. It’s usually fixed in the physical release. Oh wow, I had heard about the Porygon but never imagined it was the origin of this stuff. Thank you for the information guys. To all of that I’ll add something that isn’t immediately obvious: it’s the studios themselves who are responsible that the dimming takes place, even though they’re the ones who are least fond of the practice. It’s necessary but sometimes the automated software that does it goes overboard in nonsensical ways. BONES is rather cursed lately. Actually, yes. It is used for censorship. The process is their modern way of making sure people don’t develop seizures since stuff like muzzle flashes are animated very quickly and colored very brightly. 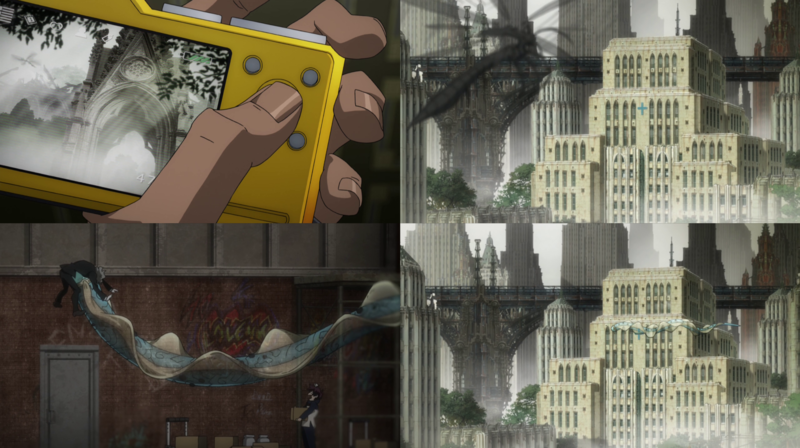 You can blame Pokemon for stuff like that happening in modern times. Would you have a look at this advert? The animation is gorgeous. P.s. Your “Contact Us” form appears to be broken, keeps giving red box “try again later” error. Thanks, we fixed it! That thing keeps breaking anytime things get updated. Also, I’ll be writing about that commercial… sort of. A very talented artist happens to be involved with that campaign!